Airbrushing, custom automotive painting and digital illustration has been Tim Lowery’s passion for over 27 years. 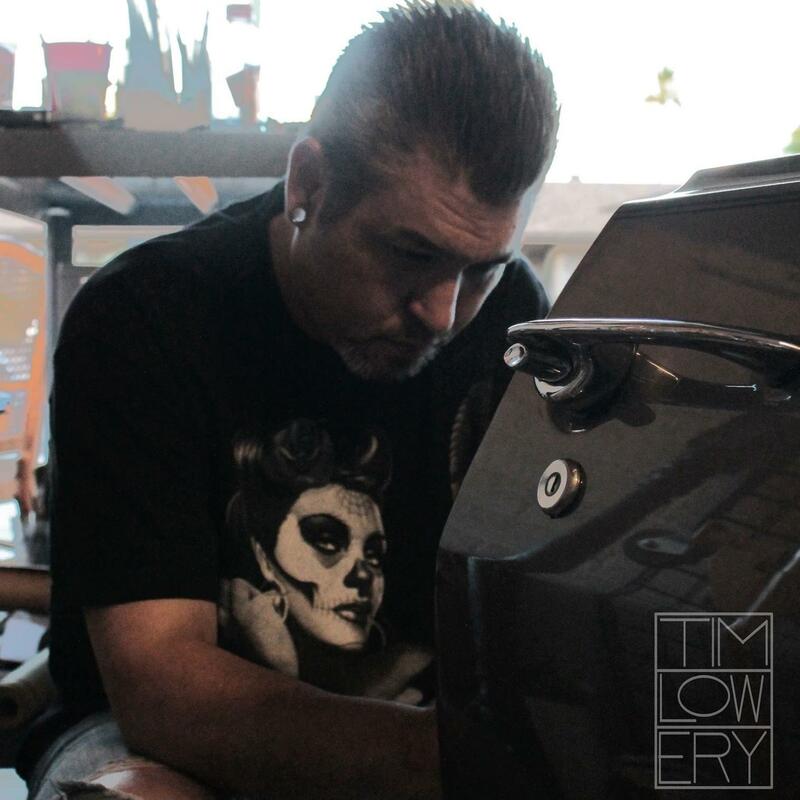 When it comes to Art, Tim has tackled it from all sides to achive perfection in all aspects. Born and raised in Phoenix Arizona, he attended art at South Mtn High Schools advanced Magent Art Program. It was then where he first picked up an airbrush, quickly learning the skills and techniques to build the foundtaion of art techniques he still uses today. After graduating he began his career airbrushing t-shirts while attending Phx Art Institute where he learned computer graphics expanding his repertoire of talent to digital art. From 2006 to 2015 he worked at numerous custom motorcycle paint shops around Arizona learning the ‘tricks of the trade’ applying automotive paint through his airbrush. Now armed with new knowledge, he forced himself to ultilize Photoshop with his airbrush talents to create the worlds most beautiful Motorcycles that he is well recognised for across America. Today, Tim Lowery is a well sought after freelance artist whose motorcycle artwork has graced dozens of magazine covers and won many prestigious awards and is well respected in the automotive art industry.